In the marketing world, businesses tend to place a heightened emphasis on customer attraction and acquisition. Naturally, we want to attract new consumers and bring them on the team. However, marketing efforts don’t end once potential clients sign on as customers. Instead, marketing continues as customers continue to buy the product or service. When businesses fail to market to existing customers—and only focus on bringing in new ones—they leave money on the table, and can end up losing loyal customers. Consistently engaging current customers through marketing efforts will undoubtedly have a positive impact on business goals later on, including increasing revenue through the sales of additional products and services. So, we came up with a few ideas for how businesses can continue to market to existing customers. 1. Know the customers’ data. The first step in marketing to existing customers is knowing their data. Who are your target customers? What do they buy? How much do they spend? How often do they shop? What motivates your customers to buy? Take advantage of a customer relationship management (CRM) system in order to better track customers’ data for the future. When you know your customers better, you’ll have an easier time connecting with them. After customers’ first purchase with the business, it can be easy for you to fall by the wayside without the proper marketing techniques. Instead, stay top-of-mind with existing customers by utilizing regular communication. Send customers print or email newsletters as an ongoing reminder about the business. Include discounts or coupons when applicable, or inform them of new products and services the business introduces. By continuing to market to current customers, you can stay top-of-mind for any future purchases they need. For some businesses, a post-sale follow-up is the perfect way to market to existing customers. For B2B customers, service businesses or large purchase businesses, be sure to follow up with the customer at an appropriate time and see how things are going with the new product or service. For instance, a landscaping company might check in with a customer two weeks after the project and see how he or she is enjoying their new lawn. Intentionally following up and keeping in touch with customers is a great way to continue to market to them. You could even market to existing customers by getting them involved and asking opinions on developing new products or services. Ask how they enjoyed their last experience with the business, and any new things they would add or change about the company and what it provides. Invite your customers “inside” the business by getting their input on new developments. Not only will customers feel more involved and engaged, but they will also create a stronger relationship and loyalty for the future. 5. Start a loyalty program. Speaking of loyalty, one of the best ways to market to existing customers is through a customer loyalty program. Loyalty programs can work for almost any business. Customers can start out by receiving small rewards for smaller purchases, then move to bigger rewards the longer they stay with the company and the larger purchases they make. Keep your loyalty program simple and easy to understand, and customers will keep coming back time and time again because they feel valued. 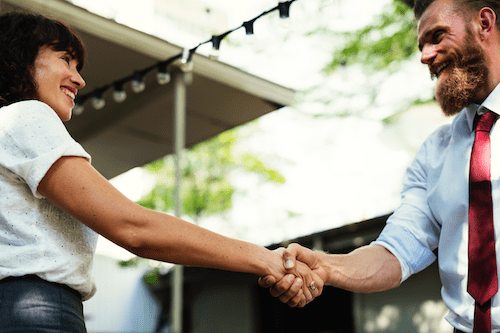 While marketing might seem like it’s only for new clients, the most successful businesses integrate their marketing strategies throughout every level of customer. Use these tactics to continue to market to your existing customers and see how the business can grow.